It is very easy to rant and rave about the problems we women face in the great city of Bangalore. Well it is not all problems, is it? Some things are possible precisely because we are in this city. IT and Biotech have opened up great avenues. But long before IT and BT, the city was known for the hub of scientific research, home for India’s premier research institute, IISc. The Indian Institute of Science was set up in 1909 and has remained the pride of the city since then. 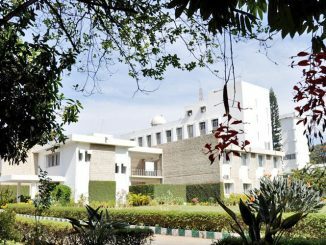 So it was only natural when the Indian Academy of Sciences (IAS), founded in 1934, decided to set up a panel for Women in Science (WiS), it was headquartered here at IISc, Bangalore. Incidentally IAS also has its headquarters in Bangalore. The council of IAS had set up a committee to look into the issues of women scientists in 2003. The committee recommended formation of the WiS panel, which was formed two years later. The main objective was to identify issues the women scientists faced in opting and pursuing a career in science and suggest possible solutions. Since its inception, the panel is actively working on understanding and solving the problem of under representation of women in science. One of the initiatives is to mentor young women who are interested in pursuing a career in various sciences. If you are one such young woman looking for inspiration then “Lilavati’s daughters: The women scientists of India” is the book for you. “Lilavati’s …” is a collection of biographies and autobiographies of about a hundred women scientists. The book was brought out by WiS last year. The panel has initiated a survey to gather the details about the number of women who have persevered to complete their PhDs but opted out of a career after that. They hope to bring to light the reasons for the small number of women scientists today. WiS also works with the student community to encourage more women to pursue science both academically and as entrepreneurs. They do have some programmes lined up specifically for the city of Bangalore in the coming days. So if you are a woman interested in taking up science as a career or know someone who wants to you can contact WiS via their website. Just to get back to my opening remark that some things are possible just because we are in this city; there is a directory of Indian women scientists online, initiated by central government’s Ministry of Science and Technology. Many women scientists have registered. If you do a state-wise search, Karnataka has 27 entries. Not a big number I agree but nevertheless they are there. Of the 27, 21 are from Bangalore. Padmalatha Ravi is an independent journalist and filmmaker. An interview with Dr Shyamala Mani of Indian Institute of Science, who was recently conferred the Chevalier de l’Ordre des Palmes Academiques (Knight of the Order of Academic Palms) by the French Government. As India celebrates National Science Day on Feb 28, we bring you a 3-part series focusing on three city-based institutes driving cutting edge research. In this first part, we look at the IIA. If you are planning to invest in an apartment that promises a ‘lake view’, think twice! The building may just be coming up on the catchment area of a lake.